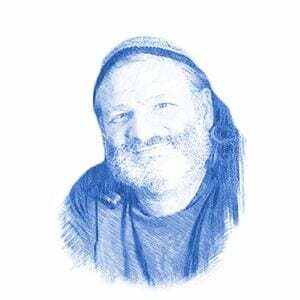 Adam Eliyahu Berkowitz, Author at Breaking Israel News | Latest News. Biblical Perspective. The horrific series of bombings targeting churches killed 290 and injured over 500. Fact follows fiction as a comedian who played Ukraine’s president on TV was elected to the post. Demands are already making it difficult for the Prime Minister to retain his position as the leader of Israel. The Muslim-Buddhist conflict took a disturbing twist when A series of bombs went off, targeting Churches that were packed with worshippers. It was reported that the IAF used a supersonic air-to-surface missile launched from 150 kilometers away to beat the advanced Russian anti-missile system. In preparation for Passover, Breaking Israel News is doing a roundup of recent reappearances of the Egyptian plagues. This includes a hailstorm that arrived in Texas days before the holiday recitation of the wonders God performed before taking the Jews out of Egypt. While Notre Dame burned in Paris, media reports of another much smaller fire on the Temple Mount illustrated media bias and ignorance. A prayer to hasten the Messiah is circling the globe, with millions of copies transferred from hand to hand, one copy at a time. For the first time, Breaking Israel News reveals the story of the remarkable prayer, how the prayer’s roots were almost lost 200 years ago and recently rediscovered, and provides an English translation of the prayer. The eighth annual reenactment of the Passover sacrifice took place in the Old City of Jerusalem on Monday evening. Approximately 1,000 people gathered in the Galicia Courtyard, a rooftop area over the Arab shuk (open-air market) in unseasonable rain. Ateret Cohanim (Crown of Priests) is an organization with one of the holiest missions: they are actively working toward creating a Jewish majority in sections of Jerusalem that currently have a Muslim majority. A survey revealed that almost half of the respondents believe that another Holocaust could take place in a Western democracy. Syria accused Israel of carrying out an airstrike that hit three Iranian military targets.